Navi Mumbai, April 8, 2019: It's that time of the year again when the cricket fever gets a grip over our entire nation. 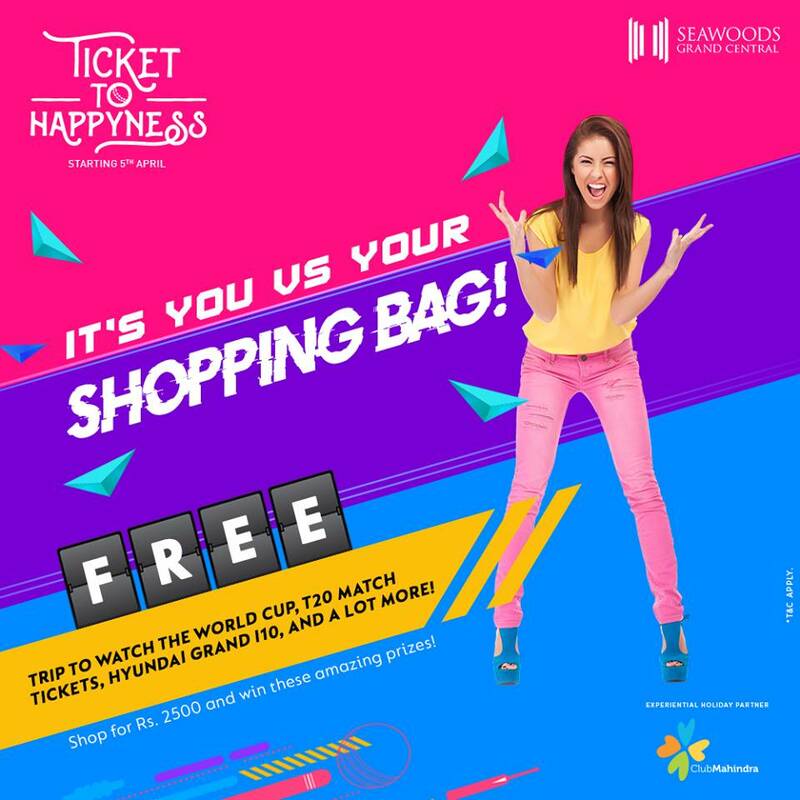 Cashing in on cricket's T20 fever and with an aim to capture the spirit of cricket while shopping, Seawoods Grand Central Mall has organized 'Ticket to Happyness' between 5th April to 19th May, 2019. All other features of cricket such as free hit and extras are also applicable. Customers who score the maximum will be declared Man of the Match and will be gratified with a gift voucher worth Rs. 1000 along with a Jersey and cap. Man of the Series or the highest scorer at the end of the campaign will win the grand prize – Hyundai Grand i10 car. Elevating customer delight, the mall is also organizing ‘Ticket to Happyness’ campaign under which shoppers who shop for Rs. 2,500 or more stand a chance to win T20 League tickets every week and watch their favourite team Mumbai, play at the Wankhede Stadium. The grand prize in the offering is couple tickets for World Cup in the UK with the entire travel and stay being fully sponsored by SGC Mall in association with a leading hospitality company.